Whatever the reason for getting a concealed carry — self-defense, political beliefs about the right to bear arms, worries about terrorism, crime or societal implosion — the numbers of concealed carry permit holders keep rising. That mirrors a national trend in which the number of concealed carry permit holders rose by 136 percent from 1999 to 2014, when it passed 11.1 million. The Crime Prevention Research Center released a report last July, based in part on a Government Accounting Office study, that put the number of concealed carry permit holders nationwide at 11.1 million, noting it’s likely much higher because figures are not available for some states, including New York, and five states and most of Montana do not required a permit to carry concealed. All 50 states now allow concealed carry, although the rules vary significantly, and permits have skyrocketed. Somehow the media has been trying to convince Americans that gun ownership is down. That less homes have guns in them. More importantly, they have been trying to push the narrative that guns are the most evil thing in our society, and anyone who owns one is dangerous. Despite that, concealed carry permits have soared to record numbers. More Americans have concealed carry permits than any time in our nations history. The answer as to why is simple. People want to be able to defend themselves. As our society becomes more dangerous, more violent, and more crowded; people are recognizing the individual responsibility to defend oneself and family. More importantly, Americans LOVE guns. We love guns because we see them as tools of Freedom. We didn’t ask the British to leave, we shot them with guns. Guns and the idea of freedom go hand and hand in this country. Guns preserve our rights given to us in the constitution. It is not even about preserving our rights against a potential tyrannical government, it’s about preserving our rights against the guy kicking down our door at 3am. It is about preserving our rights from the carjacker waiting in the parking lot. Its about protecting our rights from bad guys who answer offensive cartoons with bombs in shopping malls. America has turned the corner on gun permit ownership. We want gun permits for our personal safety, and we demand gun rights to preserve our way of life. America has a fever folks, and the only prescription is more gun permits! 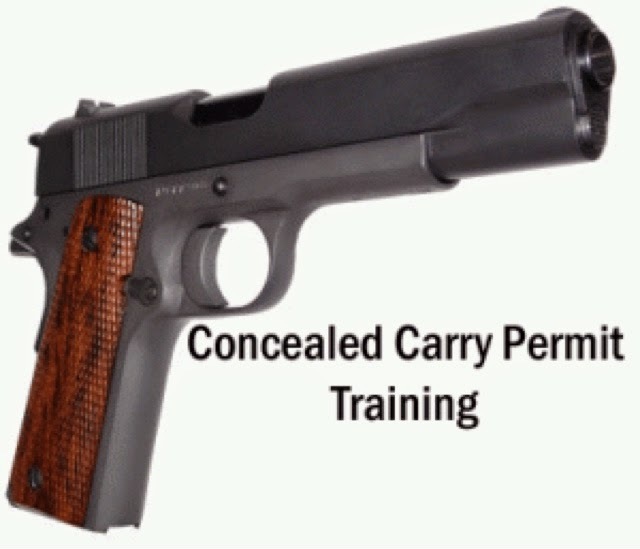 For those looking forward to a nice long summer, it’s always an added bonus to be able to travel with the safety and security of a concealed carry firearm. But before you pack the Glock with the suntan lotion, here’s a few tips to help stay on the right side of the law no matter your final destination. Despite efforts to pass national reciprocity laws allowing concealed carriers to move across state lines with ease, we’re still stuck in an antiquated system of in-state versus out of state distinctions. A quick reference tool to see what states presently accept your concealed carry permit, check here. NOTE: The aforementioned link should only be used as a quick reference tool because legislation is changing all the time. To ensure you remain in compliance, the only sure-fire way is to check with the state itself. For states that do not recognize your right to carry concealed, they may have open carry policies which allow some more freedom of movement. At present counting, there are thirty states (and hopefully more to follow) which do not require a permit to open carry. Here’s another quick reference for that. California is a case example of not only a state that doesn’t issue concealed carry permits to out-of-state residents but also one that heavily restricts the style and class of guns that can be used. District of Columbia >10 Does ban possession. NOTE: This reference is based upon data published and reported through the State of Connecticut’s inquiry into Federal and State high-capacity magazines. The full report is available here. Make sure that secure compartment can’t fall into the vague definition of “easily accessible”. It’s very foggy and it’s something that can be used against a concealed carrier, unfortunately. There’s a few common questions that arise naturally when we’re told we can pass through a state but can’t stop. We’ll take one that came up real recently in discussion. I’m driving from Utah to Oregon and I have to pass through California. It’s a big state and I need to pull over and take a nap. Will I get pinched for having magazines that can hold more than 10 rounds of ammunition? This is possibly one of the hardest ones to answer. Undoubtedly, something as dubious as being in possession with a magazine that a specific state defines as “high capacity” has probably been used against someone for less than legitimate reasons. The only person that can accurately answer this question is an attorney who specializes in firearms-related cases. Obviously, the threat of sleeping at the wheel outweighs the threat of (in this example) California State Troopers making a big problem about transporting high capacity magazines in a secure compartment of your vehicle. Rule 1: Don’t give probable cause where there isn’t. A police officer cannot legally search your vehicle without a warrant, your consent, or due probable cause. That last one can often be the turning point in a case. If you do stop to rest, do not grant any reason to give any of the above. Rule 2: Strictly limit time outside the vehicle. The longer you’re away from your vehicle in a state that prohibits the transportation of something you are transporting, the Firearm Owners Protection Act quickly loses ground. Stopping in a motel for the night and heading out in the morning? Probably fine. Stopping in at Aunt Sue’s house for a long weekend? That’s treading on thin ice. Rule 3: If you can’t wear it legally, keep it locked up. While it’s natural to check to ensure that firearms and ammunition are in their allotted space, at no time is it alright to take out or handle these weapons. FOPA of 1986 only protects gun owners just so far. There are a lot of great provisions allowed for the transportation of firearms across the United States provided they’re checked in as luggage via either the TSA (for airplanes) or Amtrak’s baggage service (if by train). For those looking to board buses and metro lines, however, additional restrictions apply. For instance, MARTA (Atlanta, GA) does not allow the transportation of firearms. Getting out of the airport at Hartfield-Jackson International Airport, one of the major routes out of there is via the local MARTA terminal and bus service. If Atlanta is your final destination, you may want to consider alternate modes of transportation such as taxi or a rental car. Chartered buses, such as Greyhound, have specific limitations on transporting firearms. Many do allowed booked transport. Make sure to check with them and if you have any transfers, ensure you’re good to safely transport those firearms from bus to bus. Do you have any insight into travelling about with a concealed carry firearm? Tell us about it in the comments section below. 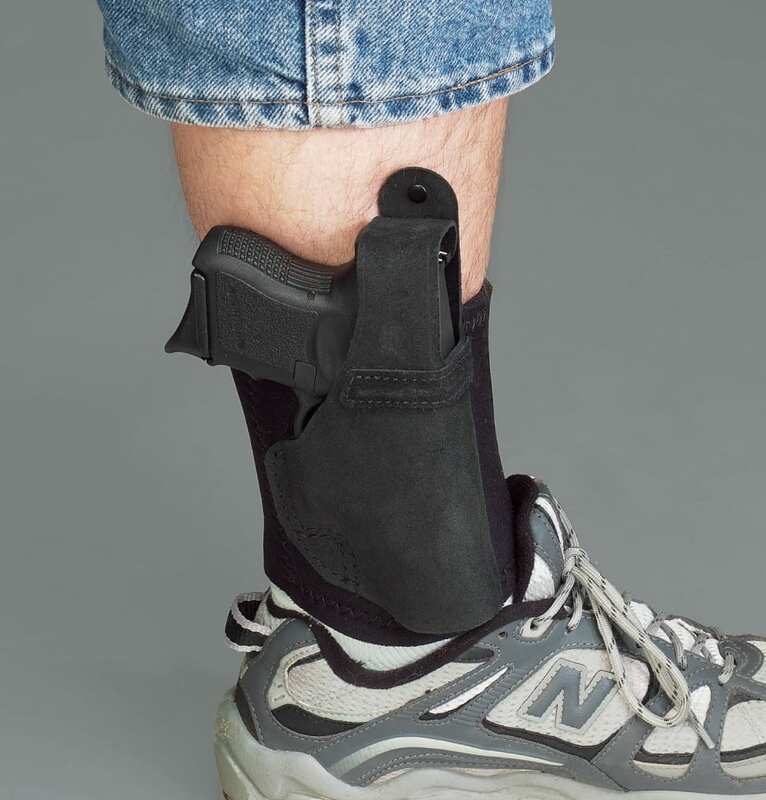 The bloodbath between five biker gangs in Waco got me thinking about my own personal, concealed line of defense. When bullets are ricocheting off parked cars and armed threats are on all sides, would I reach for the firearm on my side? You bet I would. But to pull it out and confront multiple threats is another choice entirely. Unholstering a firearm isn’t always the right answer in these specific chaotic situations, and I’ll explain why. When gangs are unloading round after round at each other and you’re caught in the crossfire, it may be best to stay low and get behind cover. Let the threats duke it out amongst themselves, and try to escape the situation. Unless you have some deeply-rooted death wish, the last thing you want to do is poke your head out like a curious prairie dog. However, if a gang member came at you with an obvious intent to harm you, that would be a legitimate reason to use your concealed counterpart. 2.) Help is on the way, Dear! If you’re a bystander caught in a sticky situation, like a gang brawl, it may be in your best interest to allow law enforcement to do the shooting. There are more of them, they most likely have bigger guns than what’s in your holster, and they are on the clock doing their job. We as concealed carriers should refrain from going “Rambo” unless the situation requires it; instead, allow the authorities the chance to eliminate the threats in an orderly fashion. It’s always good to keep your sidearm at the ready, but whipping it out when other options are available could prove to be a fatal choice in these chaotic situations. We must choose our battles wisely. 3.) What’s beyond your target? Unless the attackers are lined up like a row of evil ducks, it may be best to resist pulling the trigger if it endangers innocent people within the vicinity. Too often bystanders die as a result of a hasty defensive shot. It all comes down to situational awareness. These moments in life happen quickly, and they require the best judgement call at the time. If you feel confident that you can neutralize the threat to your life without harming innocents, pull the hammer back and go with your gut instinct. There are obviously dozens of reasons to keep your gun holstered, and these are just three if you find yourself caught in a five-way biker gang brawl. It all comes down to justifying the use of your firearm. News’ host Greg Gutfeld explained that the media’s gun control arguments increasingly fall on deaf ears because Americans refuse to feel guilty over using guns for self-defense. He then explained that the American people, while supportive of the police, have simply come to realize that there are long seconds–and frequently, agonizing minutes–between the time they dial 911 and the time police arrive. Moreover, he stressed that Americans understand that in many instances the police will only be coming to count bodies–that any defense that is going to happen has to happen before badges, handcuffs, or sirens are on the scene. Perhaps the media misses the big point. They do their theorizing from the fish bowl of a well-protected studio and travel to and from work at reasonable hours through tiny neighborhoods in secure vehicles. The fine people of Detroit don’t have that luxury; they realize that any argument against arming yourself is full of holes, which is not the way they’d like to end up being. Empirical support for Gutfeld’s claims can be seen in the pro-gun attitude taking hold in Detroit’s heavily black community right now. Breitbart News recently reported that concealed carry is surging in the black community, and no less a prominent figure than Detroit Police Chief James Craig explained that this is a seismic shift from how things have been historically. In a tone similar to Gutfeld’s, Craig explained that Detroit residents have simply come to realize that good guys with guns really can protect their own lives and the lives of their neighbors. They have also realized that being armed helps bring stability to their community. In the real world, these realizations are drowning out anything that gun controllers might say to the contrary. CHICAGO (STMW) — Twelve people were killed and at least 43 — including a 4-year-old girl — were wounded in shootings across Chicago this Memorial Day weekend, police said. The girl was shot in the head and taken to Comer Children’s Hospital in critical condition, authorities said. She has since been upgraded to fair condition, a hospital spokeswoman said Monday morning. The teen was shot in the chest and grazed by a bullet in the neck. He was in serious condition at Advocate Christ Medical Center in Oak Lawn. A 15-year-old girl standing on a sidewalk nearby was shot in the forehead and was taken to Stroger Hospital, where her condition stabilized, police said. The weekend’s most recent fatal shooting happened Monday night in the Austin neighborhood on the West Side, police said. About 7:50 p.m., a 17-year-old boy was shot in the back and the leg in the 4900 block of West Erie, police said. He was taken to Mount Sinai Hospital, where he died. The Cook County medical examiner’s office could not confirm the death Monday night. About 5:25 p.m., a 19-year-old man was shot in the back in the 0-100 block of East 36th Place, less than two blocks south of Chicago Police headquarters in the Bronzeville neighborhood. The man was taken to Stroger Hospital, where he died, police said. The medical examiner’s office could not confirm the death Monday night. A 29-year-old man died after he was shot Monday afternoon in the Irving Park neighborhood on the Northwest Side, police said. He was shot about 2:30 p.m. in the 4100 block of North Hamlin. He was sitting passenger in a vehicle when another vehicle pulled up, and someone inside got out and fired shots, police said. The man was shot multiple times in the upper torso and taken to Advocate Illinois Masonic Medical Center, where he later died, police said. The medical examiner’s office could not confirm the death Monday night. Two teen boys were shot — one fatally — in the Bronzeville neighborhood on the South Side on Sunday night. The boys, 14 and 15, were outside in the 4400 block of South Cottage Grove about 8:15 p.m. when someone fired shots from a light-colored sedan, police said. Emergency crews found the older boy unresponsive in an alley with a gunshot wound in his back. Raheem Dameron, 15, of the 5600 block of South Justine, was pronounced dead at the scene, the medical examiner’s office said. The younger boy was shot in the foot and taken to Comer Children’s Hospital, where his condition stabilized. Police said the 15-year-old had documented gang ties. On Sunday afternoon, a 20-year-old man was fatally shot in the Humboldt Park neighborhood on the West Side. He was driving in the 3300 block of West Division about 4 p.m. when a dark-colored SUV pulled up and someone inside fired shots, police said. He was shot in the chest and taken to Mount Sinai Hospital, where he died, police said. Less than an hour earlier, a man was killed in a drive-by shooting in the East Garfield Park neighborhood on the West Side. About 3:20 p.m., LaSean Barnes, 38, was in the 3200 block of West Maypole when someone fired shots from a passing beige conversion van, authorities said. The van then drove off east on Maypole. Barnes, of the 3000 block of West Polk, was shot in the right side of his abdomen and was taken to Mount Sinai Hospital, where he was pronounced dead at 5:25 p.m., the medical examiner’s office said. Early Sunday morning, a woman died in a shooting which injured two others at a party in West Englewood. About 12:45 a.m., four people were denied entry to a party in the 6100 block of South Honore, police said. The four males then surrounded the party and opened fire, striking three people outside, including Deja Atwood, 29, authorities said. She was shot in the chest and leg and taken to Holy Cross Hospital, where she died. A 39-year-old man shot in the chest was taken to Stroger Hospital in serious condition, and a 25-year-old man shot in the arm was taken to Holy Cross, where his condition stabilized, police said. Minutes earlier, one man was killed and another wounded in a shooting in South Shore. They were standing on the sidewalk in the 7900 block of South East End Avenue at 12:27 a.m. when a gunman fired shots, police said. One of them, age 32, was shot in the neck and taken to Jackson Park Hospital and Medical Center, where he was pronounced dead, police said. Another man, whose age was not available, was shot in the buttocks and went to Jackson Park Hospital, where his condition stabilized. About 11:45 p.m. Saturday, a man was found shot to death in an alley in the Albany Park neighborhood on the Northwest Side. Daniel Rivera, 27, was found unresponsive with a gunshot wound to his face in an alley in the 4700 block of North Albany, authorities said. Rivera, who lived in the 7200 block of North Damen, was pronounced dead at the scene, the medical examiner’s office said. Earlier Saturday afternoon, a 24-year-old man was found fatally shot in the West Side Austin neighborhood. Charlie R. Weathers had a gunshot wound to the head when officers found him about 12:45 p.m. in the 0-100 block of North Laramie, according to police and the medical examiner’s office. Weathers, of the 5000 block of West West End Avenue, was taken to Mount Sinai Hospital, where he was pronounced dead at 2:01 p.m., authorities said. Early Saturday morning, a 20-year-old man was found shot to death in University Village, police said. Officers responding to the 1000 block of West 14th Place about 2:10 a.m. found the man unresponsive with multiple gunshot wounds, police said. He was taken to Stroger Hospital, where he was pronounced dead, police said. The holiday weekend’s first fatal shooting happened about 1:45 a.m. Saturday in Wicker Park. Carlos F. Marino, 34, was sitting on the front porch of a home with two other people in the 1700 block of West Pierce when someone walked up and opened fire, authorities said. Marino, who lived in the same block as the shooting, was struck in the chest and shoulder and taken to Stroger Hospital, where he was pronounced dead at 2:34 a.m., authorities said. The most recent nonfatal shooting left a woman with a graze wound to her leg following a domestic dispute with her boyfriend early Tuesday in the Austin neighborhood. The 47-year-old woman was shot about 2 a.m. by her boyfriend in the 4800 block of West Madison, police said. She was treated and released at the scene and no one is in custody. At least 35 others have been shot since Friday night. Now law is a measure to allow law-abiding citizens without concealed carry licenses to bear arms during declared mandatory evacuations. A reboot of a failed2014 bill that was killed in last minute political maneuvering, this session’s effort had an easier go of it after police lobby groups embraced the proposal. It passed the Republican-controlled Senate in an easy 29-10 vote while the House last month approved it by a 86-26 margin. This is exactly the type of thing I like to hear heading into the weekend. This law will allow lawful gun owners to possess a firearm during an evacuation, which will ultimately protect themselves and their family from the chaos that ensues after a Florida storm. Times like these are always more dangerous, so it makes sense to allow more law-abiding citizens access to guns for defensive purposes. Criminals tend to get more desperate and brasher with their actions during the aftermath of a natural disaster. This is when a gun comes in handy, to subdue the chaos. When Floridians evacuate their homes, they take what’s most precious to them. Their family, of course. Photo albums. Jewelry. Why leave your gun? Several of the fastest wide receivers and running backs in the National Football League can run 120 feet (40-yard dash) between 4.24 and 4.27 seconds. It is well-documented that many football players can run 120 feet in about 4.5 seconds. Football players at most positions and average-fit people can run about 20 feet in about 1.5 seconds or slightly less. This seems almost unbelievable, but it is true. So can some “bad guys.” So, is the 21-Foot Rule a sufficient guideline for deciding at what point and when to draw, present, and use your defensive gun before being overcome by the “bad guy?” Is it a safe distance for adequate reaction time to stop the threat? Some think so and some think not. Some think it should be a 30-Foot Rule and some jurisdictions have changed to it, e.g. certain jurisdictions in Texas, Georgia, Florida, and others. 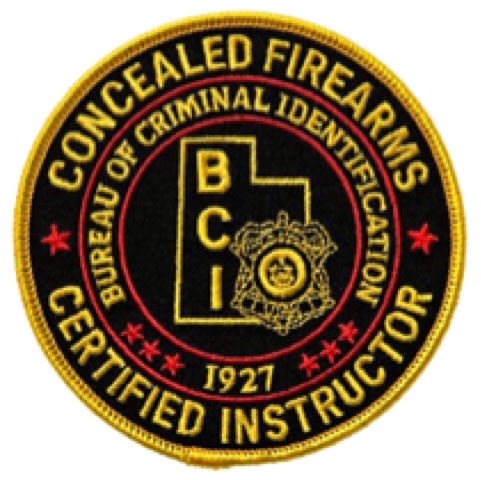 This month I attended two NRA advanced and intermediate-level concealed carry courses near Atlanta, GA, Personal Protection Outside the Home. One of the instructors, a middle-aged female (average build & physical fitness), guided me in a 7-yard special drill. At the range, we were positioned back-to-back and she had her hand on my shoulder. I was the “good guy” and she was the “bad gal.” When she removed her hand from my shoulder, I was to unholster my gun from beneath my concealment shirt and fire 2 non-sighted shots at the target in front of me down range at 21 feet, while she (as the attacker) ran in the opposite direction up range. She stopped as my first shot was fired. As the good-guy shooter, I was successful only if one of my shots hit someplace in center-mass target and if she as the bad-gal runner did not cover 21 feet. Time is a very important personal-protection variable. We don’t want a “tie” with the attacker and defender in terms of time. The defender needs to win the time race. No excuses for this keyboard commando, but I tried to be quick and she covered about 24 feet before I accessed my concealed gun, drew it, and fired my two rapid shots. Both my shots hit center mass, but it took me too long to do it. In reality, I would be severly injured or dead, especially if the attacker was a lean and fit 25-year-old. This really hit home for me and I had been practicing my presentation, accuracy, and was not under undue stress. I was even aware in advance that my decision would be to draw and then that I would need to fire quickly. Luxuries usually not available when involved with your dynamic personal-protection situation. Being assaulted by a quick, on-rushing maniac or a crazy with a knife, gun, or other weapon is certainly different than practicing range shooting skills on a paper plate from the seven-yard line. For many years since 1983 when Sergeant Dennis Tueller, of the Salt Lake City, Utah Police Department, developed his 21-Foot Rule and the Tueller Drill, this distance was, and is, still accepted as a safety guideline for assaults. 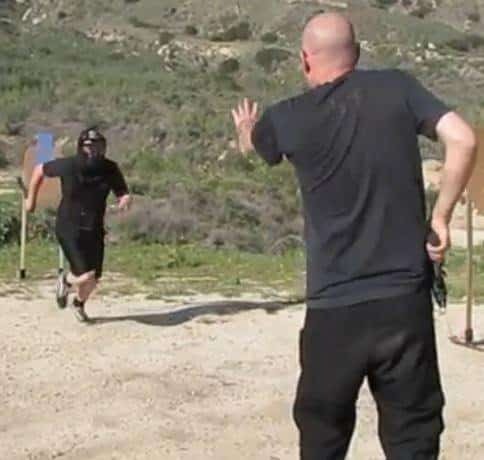 Tueller setup a training drill where he placed an average volunteer attacker armed with an edged weapon/knife 21 feet away from an officer with a holstered handgun. On the signal, the attacker ran toward the officer to stab him and Tueller timed the attacker over the 21 feet. He determined the attacker could easily cover the 21 feet and reach the officer in 1.5 seconds. His results were widely published and subsequent validation by others have supported his results. His police training video is entitled “How Close is Too Close?” The training objective was to determine whether the officer could draw and acurately fire upon the assailant to stop the threat before the attacker stabbed him. Was the 21 feet an adequate response parameter for deciding when to shoot or not and, if so, to draw and shoot? As you can imagine, this is highly controversial and states and jurisdictions vary a lot, as do the court decisions. There are a lot of variables to consider and many influencing factors. So, use caution when drawing your conclusions and, especially, about using the 21-Foot Rule, the 30-Foot Rule, or ANY rule for your actions. They are merely generalized guidelines and NOT absolute rules nor based on forensic research and all possible facts. Each individual SITUATION must dictate your defensive reaction, safe distance to engage the threat, and your response! Be very careful! The question then is… Is 21 Feet enough of a cushion (reactionary gap) for you to prepare and do what you have to do to quickly defend yourself from the assailant? Many shooters believe that they can draw and deliver an effective hit on a charging assailant when the assailant starts his assault from a distance of seven yards. Experienced shooters at the range have told me “no problem,” but I have my serious doubts. Some range drills for some of my students have proven to me and them that this is not so under most situations. Also, consider whether or not the attack is in your home or on the street. Recognize that the rooms in a typical home are mostly about 21 feet or less from wall to wall, so you will probably be even closer inside your home, considering the space taken by furniture. Tueller addressed the “reactionary gap” and concluded that sudden action is usually faster than a defensive response or reaction for humans. The closer an assailant is to you, the less time you have to defensively react to any aggressive action the assailant makes. Remember, one shot rarely stops the threat, so accurate hits are also important while you are under the time pressure. In 2014, Dr. Ron Martinelli, forensic criminologist, revisited the 21-Foot Rule related to police officers and concluded several key things. He said that it takes on average .58 seconds to experience the threat and determine if it is real. Then it takes an average of .56 to 1.0 seconds to make a response decision to act. Then comes access to the gun, draw, presentation, and firing, which consume more time. Some say it takes about .50 to 1.00 seconds to access and draw the gun. Of course, the location of the gun, the type of holster and concealment, and practice affect this. Others say it takes anywhere from .25 to .31 seconds then to actually press the trigger to fire it. So these factors alone add up to a minimum average requirement of about 1.89 seconds (up to 2.39 seconds or more) for me … which is more than the 1.5 seconds for the bad guy to reach you. And you have to have good hits to stop the bad guy. Further, he recognized that if the sidearm is secured in a Level III holster, it will have a slower draw-to-target acquisition time than drawing from a Level I holster or another type, e.g. pocket, ankle, or small of the back. So someone’s experience and competency with his or her holster system and particular handgun are also critical factors. Training in edged-weapon defense should by no means be abandoned. Without a doubt, each deadly-force, high-risk encounter in a rapidly-changing situation is unique. This has been recognized and restated in the 1989 U.S. Supreme Court ruling in Graham v. Connor for the police. In essence, the Graham standard guides that force should be applied in the same basic way that an objectively reasonable officer would in the same circumstances. Further, that the most important factor to consider in applying force is the threat faced by the officer or others at the scene. Seems this is important to judicious use of deadly force whether you are a police officer or not. Situationally dependent and reasonable. It seems obvious to me that many factors and situations are involved in determiing if the 21-Foot Rule is applicable. The distance, time, and accuracy factors can be influenced by other things like the fitness level of the attacker, the mental state of both attacker and defender, the level of training and weapon or handgun proficiency of both participants, drugs, the terrain and location of the encounter, the weather, ambient light, full-duty gear, dress, gloves, and so many other variables. Be careful out there. What are your thoughts about the 21-Foot Rule, your safe distance for engagement, and why do you believe what you believe? Will your response get you killed...? Do gun in your home make you safer???...YES!!! A gun will not help you, unless you carry it!!! Are you prepared to shot under stress?